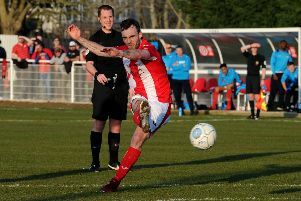 Brackley Town manager Kevin Wilkin will be looking for his side to maintain their revival at Chorley for Saturday’s Vanarama National League North clash. Steve Diggin and Batchelor are suspended so on-loan duo Aidan Hawtin and James Akitunde come back into the squad after missing the FA Cup victory over Bamber Bridge. Wilkin said: “It’s all about trying to get some continuity, we know we have not started the season as well we would have liked but we will go to Chorley this week on the back of the FA Cup win and look to get a good result.